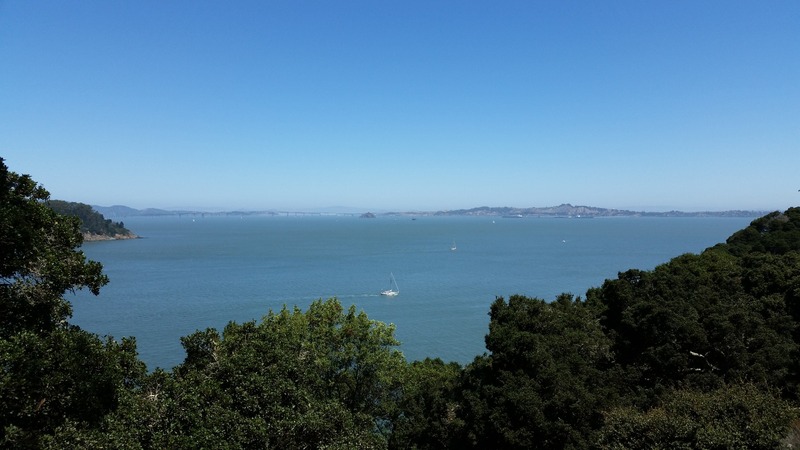 Preparation: Angel Island is an island in San Francisco Bay offering an excellent views of the San Francisco Bay Area. 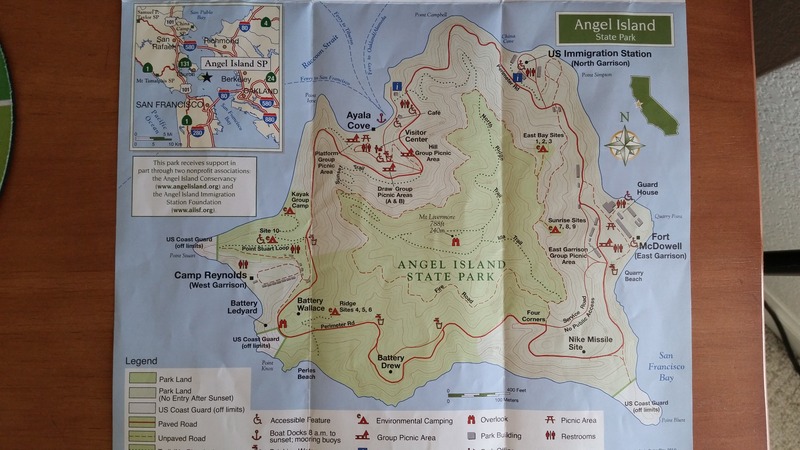 It is included within Angel Island State Park. It is reachable year-round by ferries. 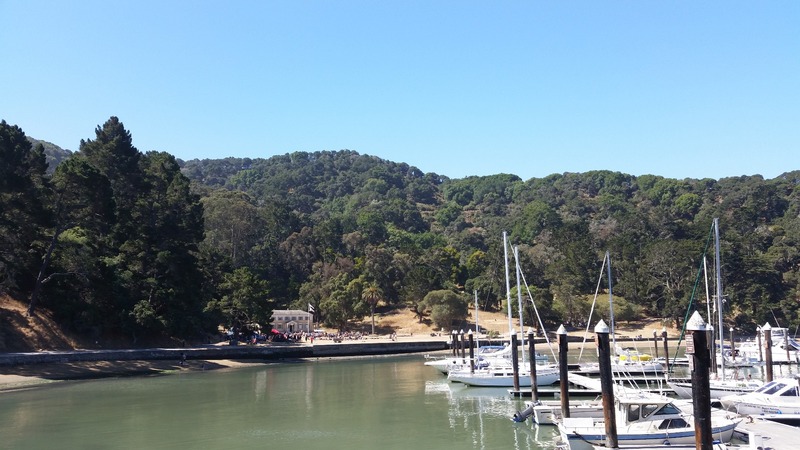 The Angel Island Ferry( by Blue and Gold Fleet) departs at Pier 41. Address: Pier 41, San Francisco, CA 94133 Weekdays and weekends, holiday schedule are slightly different. Different seasons may have different schedule. Before you go, please check the schedule online. 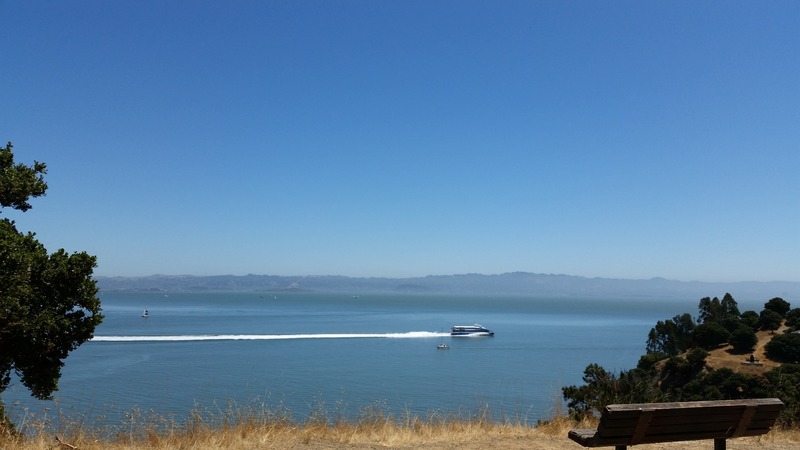 Ferry schedules 08/01 - 09/11/2016 Weekends: Depart 9:45am 11:20am 1:45pm Back to San Francisco from Angel Island: 10:20am 11:55am 2:20pm 4:30pm Week days Depart: 9:45am 1:05pm Back to San Francisco from Angel Island: 10:20am 1:55pm 2:20pm 3:20pm Remember the last ferry comes back to San Francisco in weekends is 4:30pm, weekdays is 3:20pm. Plan ahead and do not miss the last ferry. It takes about 30 minutes for the single ferry trip. 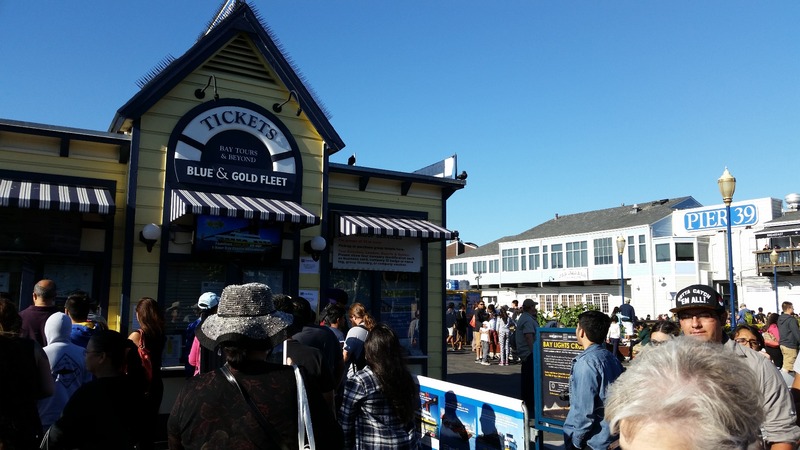 if you plan to visit most of the island and walk or run on the trails around the island, it's better to be in Pier 41 before 9:45am to get on the first blue & Gold Fleet ferry. Tickets can be bought in the ticket booth near Pier 39. You may also buy tickets online. Adult round trip $16 Children ( 5 - 11 years old) round trip $9 In the peak season, the price may be a little bit higher. Pack enough food, water, snacks. Wear sports shoes for several hours walk. Bring hats, sun block to avoid sun burn. Attractions and activities: 1. Many spectacular scenic view points. 2. Ayala Cove where the ferry boat arrives and China Cove near the Immigration Station. 3. Immigration Station museum: a National Historic Landmark. 4. Trails. Sunset Trail, Perimeter Rd and many other trails. In total there are 13 miles of trails and roadways, while cyclists have access to 9 miles. 5. Fort McDowell( East Garrison): the detention and discharge camps for troops during the World War I and II. 6. 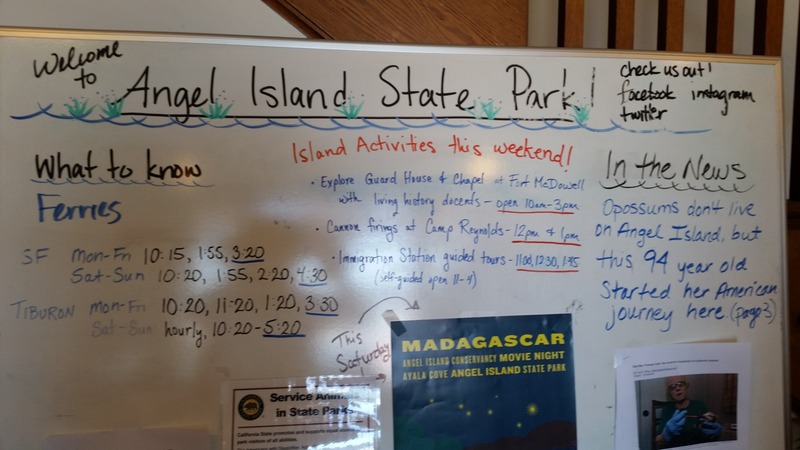 Picnicking and Camping: the island's scenic picnic areas have tables, running water and barbecue stoves. The park's 4 environmental camping areas have water and pit toilets nearby. No wood fires are allowed on the island. See details in the picture map. In the island, there are tours which has the trams to go through the whole island. The price is $15/person. Dining: A Couple of places you can buy snack and food. In "Angel Island Cantina", you can buy burgers, $14/each, Taco $8, once you order, your food might be ready in 10 to 20 minutes, I guess it really depends on how busy they are. This Cafe has "Clam chowder" ( a kind of thick soup, creamy cheese plus clam meat and potatoes), can be served immediately and tastes very good and I love it. $6.5 / bowl. 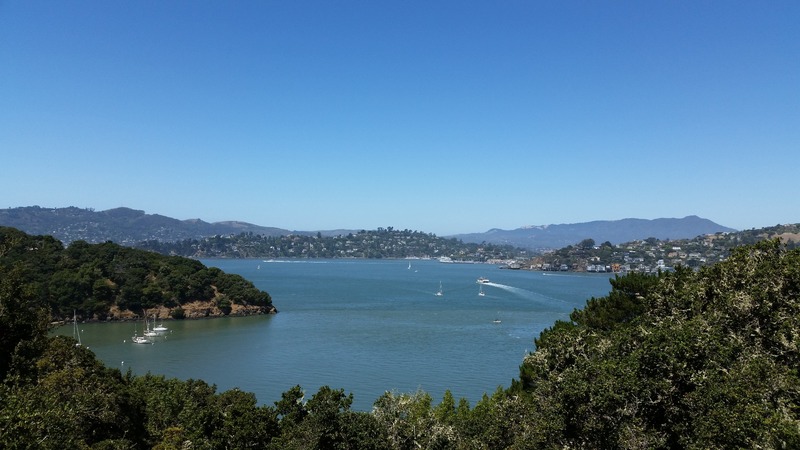 Commute: If you drive to the San Francisco, parking is a big deal. There are public parking garages but some of them may charge very high prices such as $75, $45 per day and the reasonable one we found in that area is Impark parking $20/day, 350 Beach St, San Francisco, CA 94133. To save the traffic time, you can also take BART and get off in Embarcadero station and walk about 20 minutes or so to get to Pier 41. Things I wish I had known before: If you have young kids or elders with you, do not plan to walk the whole Perimeter Road or sunset trail. Even the adults walk fast, it takes about 2.5 hours to walk one round of the road. 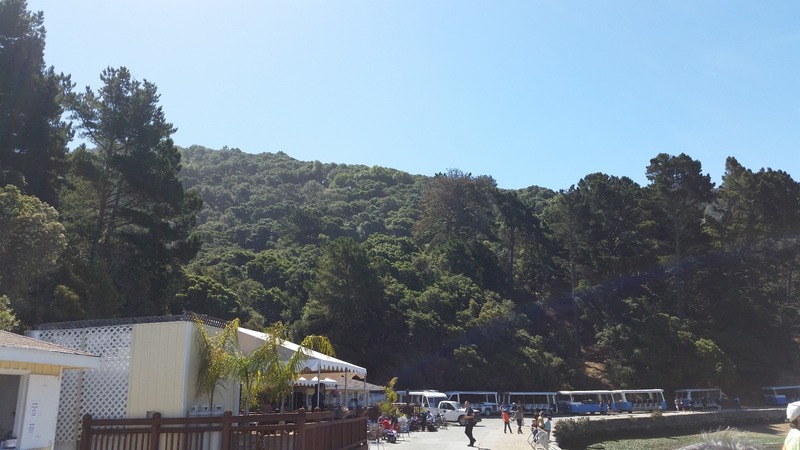 If you have young age kids, it might be a good choice to have a light weight stroller or a small bike they can ride which are easy to carry through the Ferry from San Francisco Pier 41.